American architecture and engineering (A&E) firms are presented with a major business opportunity to redesign dying shopping malls. Daily Amazon and U.S. Postal Service deliveries at our doorstep serve as reminders that large sectors of what was once brick-and-mortar retail has shifted to the Internet and it's ever improving supply chain. Savvy real estate developers are recognizing that instead of the inevitable decline to zombie properties, malls are prospective treasure troves for future real estate development. A&E firms that embrace these changes and new design concepts have the opportunity to participate in a growing practice area while also generating federal and state R&D tax credits. In the past, American malls have accredited much of their success to anchor tenants, or large retail chains, that typically draw traffic and business to the mall. However, since 2013, five of the biggest American chains closed more than 750 stores, or 20% of their total locations. This ongoing decline of department stores is perhaps the largest challenge that mall owners face today. 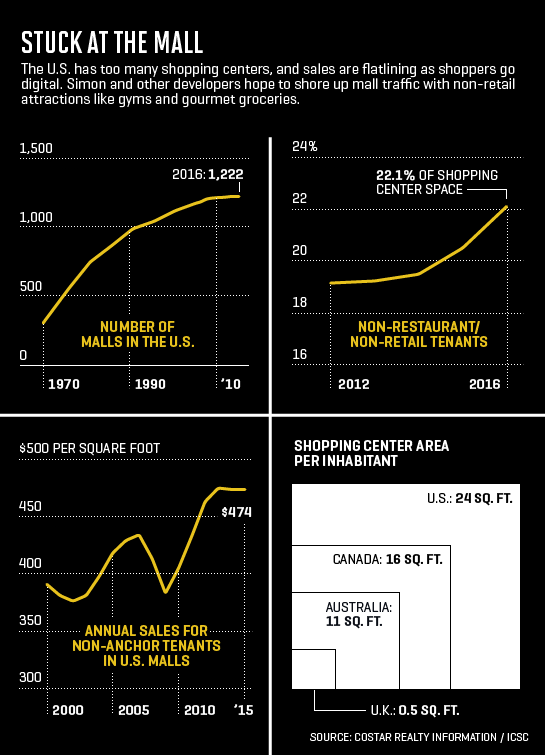 These statistics are worrying to mall landlords who now require new anchor tenants to spur traffic. As a result, malls are looking to bring in non-retail related attractions, such as fitness centers and grocery stores, to remain afloat. Such repurposing calls for new and innovative design concepts that might even be able to tap into the power and profitability of renewable energy sources. While some landlords see a sinking ship in underperforming malls, investors see a treasure chest full of possibilities. Now, retail investors strategically purchase underperforming malls and repurpose them into high-performance retail assets. For example, retail investor Vintage Real Estate bought California’s SouthBay Pavilion in 2009. At the time of purchase, sales were at $220 per square foot. Vintage invested $28 million in repurposing the mall, including the addition of numerous major anchors. By doing so, sales immediately skyrocketed, so that by the middle of 2015, sales were at $390 per square foot. By 2016, foot traffic improved by 25% and sales increased to $430 per square foot. The inclusion of a 13-screen movie theater attributed to the largest improvement in overall success, primarily because attending a movie showing is an activity that is nontransferable to the Internet. The secret to success, as identified by Vintage Real Estate and other retail investors, is to turn malls into retail destination hotspots with ease of access to everything one might need. That is why mall repurposing is pursuing the route of replacing vacant renting spaces with fitness centers, food courts, grocery stores, as well as extra space for events, classes and activities for all ages. The traditional anchors of massive retail chains are quickly being replaced within shopping malls, and most notably by grocery stores. American millennial shoppers have become more comfortable with the idea of everything being at the tips of their fingers. Thus, being able to go to a mall to purchase clothing, shoes, and weekly groceries is creating more hype. It also constitutes an attempt to save malls. There is no doubt that grocery stores in shopping malls will increase foot traffic. It was reported in the Chicago Tribune that a Kroger marketplace would potentially generate $50 million in sales at its mall location in comparison to the $10 to $15 million traditionally seen in revenue. Because grocery shopping is a basic necessity, people have no choice but to pass the other stores in the mall. This will undoubtedly benefit the mall as a whole and could potentially save it from closing. While the future of most malls is going downhill, malls in urban landscapes, such as New York City, are bustling. 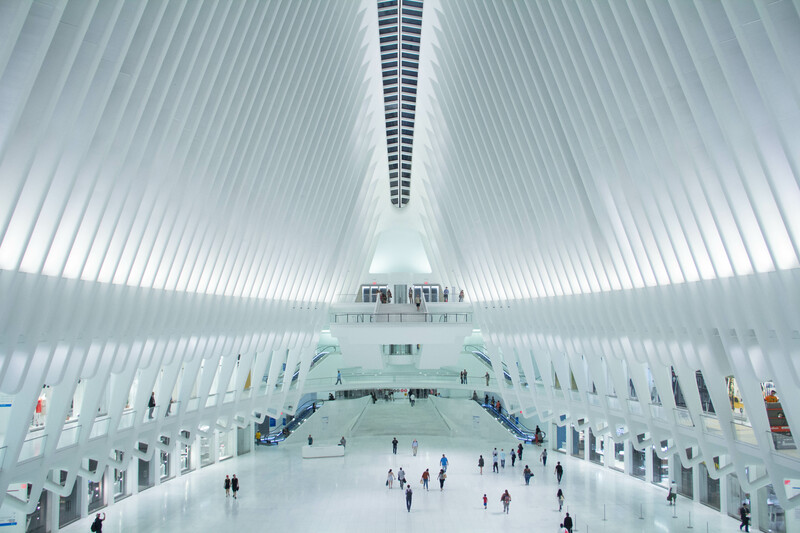 The Oculus, a dinosaur-like architectural masterpiece in the heart of downtown Manhattan, has revolutionized urban malls with tourism and transportation. The Oculus, both the focal point and transportation hub of the Westfield World Trade Center mall, strategically intertwines business men and women with the retail industry. 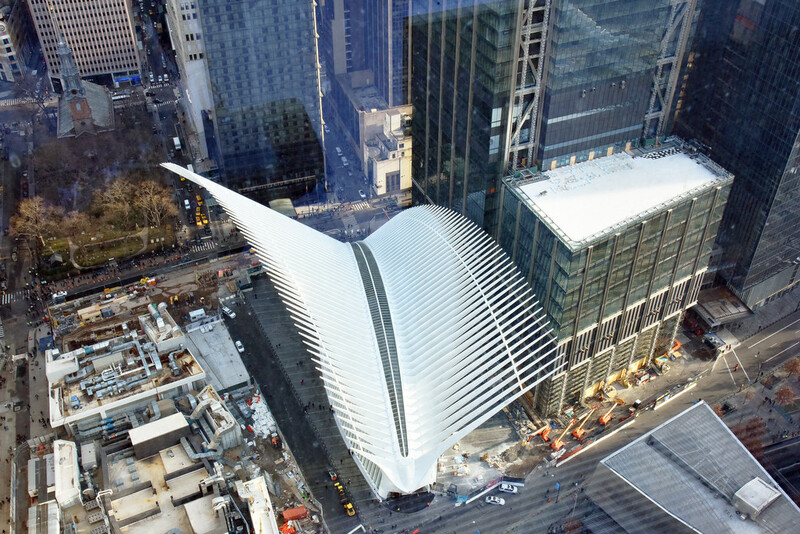 With over 100 stores, connections between office buildings and PATH transportation to Jersey City, it is estimated that more than 50,000 commuters frequent the halls of the Oculus on a daily basis, not accounting for tourists visiting the iconic mall for its Instagram-worthy view. Regardless, all of this foot traffic has become beneficial to the mall’s tenants. The Westfield World Trade Center mall’s tagline is as follows: “The New New York Place to Be. Shop. Eat. Drink. Play. All Under One Magnificent Roof.” The level of success displayed by the Oculus due to repurposing demonstrates that a dying mall can be saved when all necessities are combined under one roof. No longer are anchor tenants stressed to ensure their sales remain afloat. The mall experienced success because it was urbanized, which suburban, sprawling malls are unable to accomplish. As such, the Oculus has become a location where people can commute to work, go to the post office, buy gifts, eat food, and even get laundry done. This concept is known as a transit-oriented development hub (TOD), which is beginning to pop up around the world. More and more American malls can look to other countries that have repurposed malls into TODs for inspiration. The Oculus, for example, was inspired by Scandinavian TODs, in which “the transit station is not just a logistical node, but also a place to go, in and of itself.” It has become the norm in modern society to go to one location to accomplish personal tasks and professional services. Diminishing transportation by centralizing all necessities in one location may just be the future of all dying malls. Providence, Rhode Island hosts the oldest shopping mall in America, the Arcade Providence, dating back to 1828. However, despite the elegance of the old building, the mall closed in 2008 due to a drastic drop in sales, largely in part due to the elevators that did not connect the three floors together, which dissuaded shoppers from visiting the second and third floors. Six years later, private investors swooped in, purchased the mall, and repurposed it into the micro-apartment complex it is today. It now houses shops, restaurants, professional services, as well as 48 miniature apartments on the upper level. 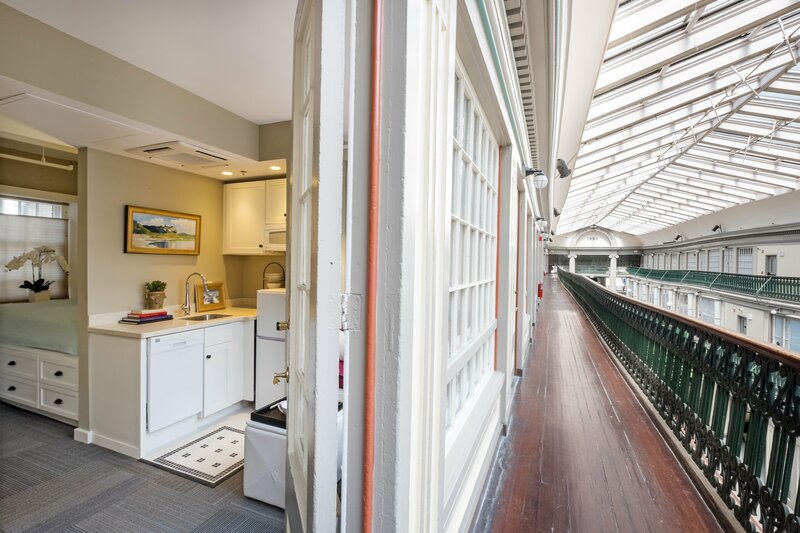 Ranging from 225 to 775 square feet, which is only marginally bigger than a one-car garage, the apartments immediately rented out, and there is now a waitlist of over 4,000 people, despite the somewhat costly rent ranging from $800 to $1,800 per month. In Austin, Texas, the Highland Mall was purchased by Austin Community College after most of its stores became vacant in 2010. ACC signed an agreement with Barnes Gromatzky Kosarek Architects, who turned a JC Penny building into a learning facility, housing 604 computers, an instructional space, library, and offices. Similarly, ACC received $386 million in funding to change the mall into a “regional-workforce center, a STEM simulator lab, a digital-media center, and a culinary and hospitality center.” It is anticipated that such development will spur academic endeavors and real-world, practical experience for the students at ACC, but also promote new business in the local neighborhood. In Jackson, Mississippi, a dying mall was transformed into a medical center called the Jackson Medical Mall. Although the conversion’s central purpose is to aid low-income residents, the facility also offers specialty clinics, a college of public service, a restaurant and smoothie bar, as well as meeting spaces for community events. Therefore, these residents can enjoy the traditional aspects of going to a mall while also getting any necessary medical attention. Other malls have been repurposed into medical centers that still incorporate a traditional mall culture. Not only does this boost mall sales, but it also ensures that people get the healthcare they require. A Nashville, Tennessee mall was recently converted into a medical center by Vanderbilt University. The entire second floor is now a health facility, where patients receive pagers, allowing them to amble in the mall on the first floor as they wait to see a doctor. 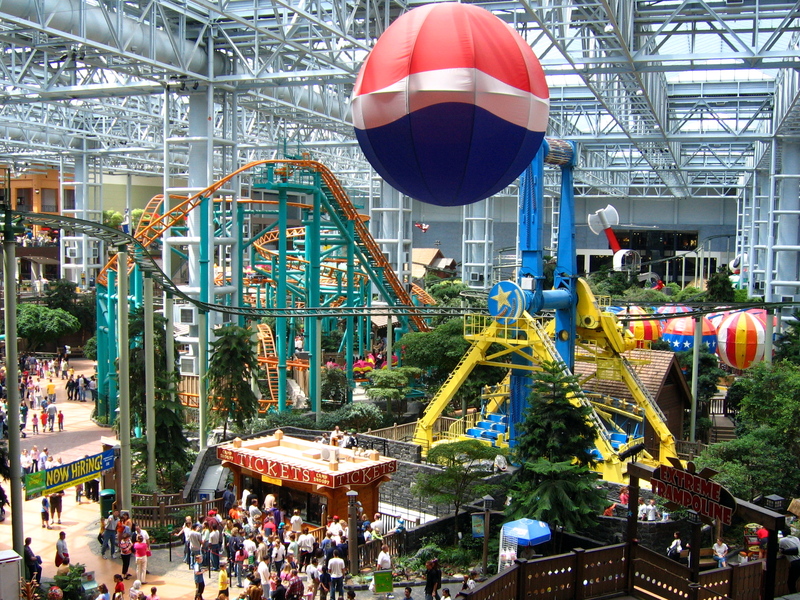 The Mall of America located in Minnesota is considered the largest mall in the United States, with over 520 stores and more than 40 million visitors per year. Despite such success, the mall continues to pursue methods to improve the experience offered to its frequenters. The mall received a $325 million initiative to add a hotel, office tower, as well as more stores, and restaurants to its already sprawling expanse. The mall even went as far as introducing an underwater aquarium, dinosaur walk museum, and theme park into the mix, thus driving more tourists to visit the mall and increase sales. Because of the improvements, some stores have seen double-digit sales increases and high-end brands staking their territory. Mall designers explain that even the simplest of changes such as lighting and flooring can drastically impact the direction of a mall. Architectural and engineering designers are taking a different approach to revitalizing the Mall of America. When the mall was built in 1992, each wing had a theme. Now, the themes are replaced by a simple aesthetic that makes the stores pop to the consumer. Everything is toned down to a blank slate of white tiles, paint, and silver finishing touches. Tall LED light fixtures are mounted on columns and a skylight offers natural light and a more open feel to the entire mall. As much as these changes are in the right direction towards pursuing renewable energy efforts in repurposing, they also promote sales, increase consumer satisfaction, and save malls from extinction. New Jersey’s Monmouth Mall gained approval for a plan to repurpose the mall with Rouse Properties, a company known for changing the current face of American malls. 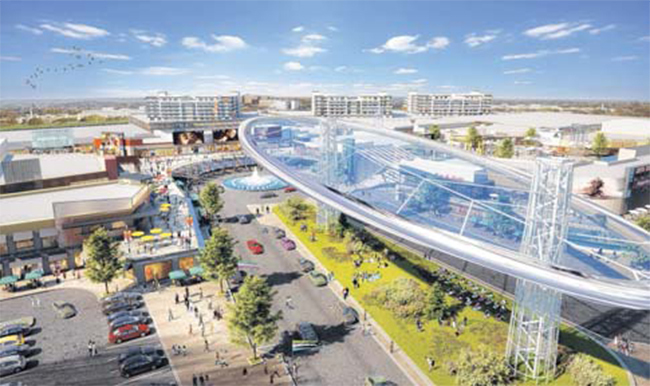 They plan to create 700 residential units along the mall’s perimeter, with medical space, indoor and outdoor dining options, a food hall, an entertainment venue for concerts, indoor sports center, and even a bowling alley The intention is to provide locals with everything required in one location. This will save the mall, but also local businesses and neighborhoods. The team takes the construction plan a step further by modernizing the common space and making it more open to promote communal activities. There speculated floor plan includes “an undulating stairway and curving glass monument at the entryway and walking paths and terraces with water features.” The ground will be broken immediately, with an opening date expected in 2020. The Northgate Mall in Seattle, Washington, which is still in business and thriving, had its parking lot repurposed into the Thornton Creek Water Quality Channel. The purpose of this facility is to take storm-water runoff and reroute it to locations that require water for plant growth. Its greatest accomplishment is in filtering out various pollutants from the runoff, which has saved the local salmon population from possible extinction. Apartments are also located along the channel, and business flourish in comparison to the previous mall experience. At a construction cost of $10.7 million, this project boosted growth in the surrounding apartment complexes, restaurants, retailers, and movie theater. The channel became the heart of the community, offering a green and open space in an otherwise urban setting. People can mingle and enjoy the landscape from the various paths, bridges, and overlooks that are incorporated into this green design. The repurposed Northgate Mall demonstrates another way by which landscape architecture and civil engineering firms can save a dying mall, all while benefitting consumers and the environment. Most existing malls were built in the pre-renewable energy era. Therefore, they are more likely to consume more energy per square foot than modern buildings, and utilize a limited amount of modern-day onsite renewal energy generation. In the traditional business model, the mall landlord was only responsible for common space energy costs. The vast majority of usable space was accountable to tenants who shouldered their own space-related energy costs. Harvard University’s professor of architectural technology Ali Malkawi supports the fact that malls made from the 1950s and on were a waste of energy, and that the retail villages many malls are being repurposed into “typically [have] a smaller ecological footprint.” Not only are they implementing more renewable energy sources, but they also help reduce CO2 emissions by decreasing the need to drive everywhere to accomplish daily consumer activities. In the past, the mall’s overall energy management and performance was not transparent to tenants. Now, most malls are in population-dense areas that are subject to mandatory energy benchmarking laws. For example, NYC’s 2010 Building Energy Benchmarking Project helped landlords compare their commercial buildings to others. As a result, if a building benchmarked at 75% or lower, the landlord is then motivated to explore more energy efficient equipment and processes to increase their rating. Thus, prospective mall tenants have a way to evaluate a mall’s energy performance before agreeing to rent space. Malls with a higher rating and use of renewable energy will attract tenants and also consumers. With regards to renewable energy, architecture and engineering firms should consider providing mall owners with design input that relates to a wide range of renewable energy technologies, including solar, geothermal, combined heat and power, micro grids, and energy storage. It seems that mall repurposing is beginning to follow this trend, as evident by some of the previously mentioned malls. Upgrades that incorporate LED lighting and high performance HVAC systems are moving in the right direction in promoting mall repurposing to include renewable energy aspects. If A&E firms provide crucial input related to appropriate building energy control and monitoring systems, revitalized malls can optimize on performance of the overall energy systems as well as experience growth in sales and consumer satisfaction. Finally, in many jurisdictions, implementing the appropriate energy control and measurement systems can enable the mall to earn demand management and smart grid revenue streams. In a modern world where consumerism is dominated by the Internet and e-commerce, American malls are on the decline. Landlords are scrambling to find ways to reuse the space with things that are not transferable to the Internet. Thus, we see a rebirth of old, outdated malls into miniature villages, transportation hubs, medical facilities, schools, and community centers. Companies such as A&E firms that engage in these transformations should take advantage of R&D tax credits available to support their innovative efforts. Malls are not dying—they are merely being repurposed to accommodate the needs of the millennial generation which prefers everything being conveniently located—whether it incorporates a morning commute, a doctor’s visit, a lunch break workout, a dinner date, or a quest to find a birthday gift. The modern mall fuels our consumerism, seemingly makes life easier, and explores new ways to incorporate renewable energy into architecture and engineering designs.